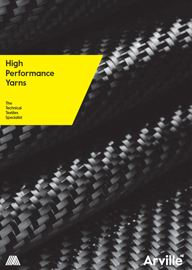 High performance yarns are spun from fibres that have unique inherent properties such as flame resistance, thermal stability, chemical resistance, cut resistance or exceptionally high tensile strengths. 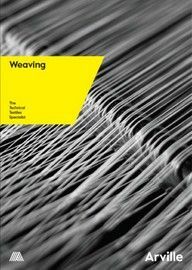 The early 1960s saw a step-change for the technical textiles industry when the first commercial availability of meta-aramid yarns for weaving opened up a whole host of capabilities and new markets for technical fabrics. 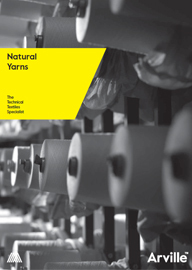 Since then, innovation and growth in the technical textiles sector has continued as other yarns with specialist properties have been developed. 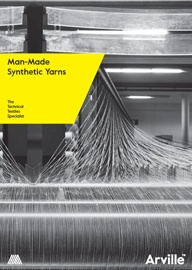 Yarns with high strength to weight ratios have allowed for improved performance, better protection and safety, lightweighting and substitution of other heavier materials which have driven innovations across a wide range of industries, including aerospace, military/defence, industrial workwear, ballistic protection, PPE and protective clothing for firefighters/police, filtration media and industrial process materials. Nomex® is a registered trademark for flame-resistant meta-aramid material developed by DuPont in the 1960’s. Nomex® is a long chain polyamide in which at least 85% of the amide linkages are attached directly to two aromatic rings. This flexible polymer chain gives Nomex® more textile-like qualities while retaining high temperature properties similar to Kevlar®. The aromatic rings and the conjugated amide bonds that link them together are particularly strong and resistant to chemical attack. They also provide a high degree of heat resistance to the polymer backbone. As a result, Nomex® does not melt and drip, and merely chars when exposed to high temperatures for prolonged periods. Kevlar’s chemical structure naturally makes it form in tiny straight rods which pack closely together. These rods form extra bonds between one another (hydrogen bonds), giving extra strength. Kevlar is synthesised in solution from the monomers phenylenediamine and terephthaloyl chloride in a condensation reaction, yielding hydrochloric acid as a by-product. The result has liquid-crystalline behavior, and mechanical drawing orients the polymer chains in the fiber’s direction. Kevlar production is expensive because of the difficulties arising from using concentrated sulfuric acid, needed to keep the water-insoluble polymer in solution during its synthesis and spinning. Kevlar is stronger than steel but approx five to six times less dense, giving exceptional strength to weight ratios in comparison. It was originally introduced in the early 1970s to replace steel reinforcements in performance racing tyres. Since then, the Kevlar brand has become more commonly associated in the mind of the general public for its military/ballistic applications, but the material actually has a wide range of lower profile (but not less important) industrial uses including rubber and composite reinforcements and flexible fuel tanks. Conex® meta-aramid fibers are known for their combination of heat resistance and strength. 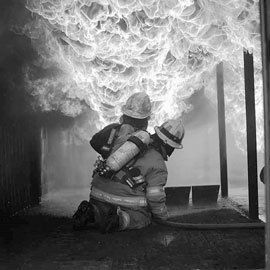 Additionally, meta-aramid fibers do not ignite, melt or drip, a major reason for their success in the fireproof apparel market. Meta-aramids offer good long-term retention of mechanical properties at elevated temperatures. Conex® can be supplied in different fiber lengths and linear densities. It is available not only in natural white, but also in a range of dope-dyed colors, which has made it popular for use in protective and industrial workwear. Originally developed in the early 1970s by Dutch company AKZO, Twaron is now the leading para-aramid brand of material specialists Teijin. It is a high-performance man-made fibre which offers well-balanced characteristics in terms of mechanical properties, chemical resistance and thermal stability. It is widespread in industrial applications and a versatile material with excellent durability. Twaron® is found at work in a wide range of challenging applications, including ballistic protection, heat and cut protection, the oil and gas industry and the automotive industry to name just a few of its many end uses. Twaron® yarns are very strong, their tensile strength being more than that of high-strength polyester and polyamide yarns and 5-6 times greater than that of steel (on a weight for weight basis). Twaron® neither burns nor melts and can survive brief exposure to temperatures up to 500°C without any signifcant loss of mass. Its high crystallinity and strong intermolecular interactions prevent chemicals from penetrating the polymer giving strong resistance. Vectran® is an aromatic polyester spun from a liquid crystal polyemer (LCP) in a melt extrusion process. This process orients the molecules along the fibre axis, resulting in a high tenacity fibre. 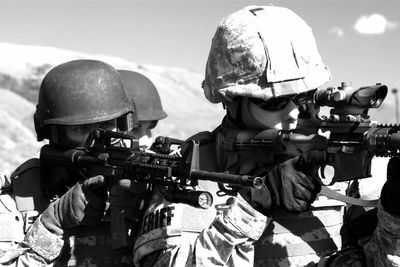 Some of the first uses of Vectran® fibres was for specialist military and aerospace applications. Airbags made from woven Vectran were depolyed to cushion the Pathfinder space mission’s successful landing on the surface of Mars. Dyneema® is produced in a patented gel spinning process in which the fibres are drawn, heated, elongated and cooled. Stretching and spinning promotes molecular alignment, high crystallisation and low density. This results in a very tough material, with the highest impact strength of any thermoplastic presently made. It is made up of extremely long chains of polyethylene, which all align in the same direction. It derives its strength largely from the length of each individual molecule chain. Bonds between the molecules are relatively weak for each atom of overlap between the molecules, but because the molecules are very long, large overlaps can exist, adding up to the ability to carry larger shear forces from molecule to molecule. In this way, large tensile loads are not limited as much by the comparative weakness of each single bond. When spun into fibres, the polymer chains can attain a parallel orientation greater than 95% and a level of crystallinity between 39% to 75%. The simple structure of the molecules also gives rise to surface and chemical properties that are rare in high-performance polymers. PBI are extremely heat-resistant synthetic fibres which are formed from completely aromatic polyamides. They are fibers in which the fibre-forming substance is a long-chain aromatic polymer having recurring imidazole groups as one of the main structural repeat units in the polymer backbone.PBI is prepared from an aromatic tetraamine and an aromatic dicarboxylic acid or a derivative of it. The resin is then spun into fibers via a dry spinning process using dimethyl acetamide as a solvent. Due to the fully aromatic structure, PBI has a very high glass transition temperature (425°C) and no melting point. The fiber also possesses outstanding heat stability and chemical resistance, including alcohols, hydrocarbons, chlorinated solvents, hydrogen sulfide, weak acids and bases, and many other chemicals. Its decomposition temperature is more than 700°C. PBI was introduced to NASA for the Apollo space missions to protect from high heat and flame. PBI’s moisture regain is useful in protective fabrics which makes the clothing comfortable to wear. In sharp contrast to other synthetic polymers, the moisture regain ability of PBI compares favourably with cotton. These fibre materials are semi-crystalline, high purity polymers comprising of repeating monomers of two ether groups and a keytone group. PEEK™ is typically characterised by excellent mechanical properties maintained at high temperatures. Room temperature physical properties are typically similar to polyester fibres. However, the difference is shown during heavy industrial use, giving longer life at the extremes of temperature, steam or chemical exposure in a wide variety of abrasive conditions.